Offering indoor and outdoor pools in Virginia Beach, along with a rejuvenating indoor hot tub and sauna, our resort is the perfect year-round destination for families seeking poolside fun. Our ground-level heated indoor pool area provides an all-season respite from the summer sun and winter wind, and the hot tub serves as a great place to relax away your soreness after a workout at our expansive on-site athletic club. People watch from your indoor lounge chair as bicyclists, rollerbladers and beachgoers stroll past on the boardwalk. 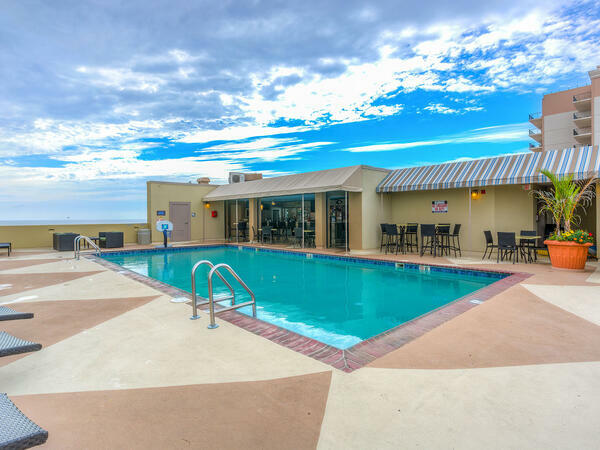 Beach Quarters’ seventh-floor rooftop pool deck overlooks Atlantic Avenue and the beautiful beach and boardwalk. With plenty of lounge chair seating and poolside service, you’re free to sunbathe the day away. Seasonal RiVive Bar & Grill serves creative cocktails and fresh fare from its seventh-floor poolside perch, and our tennis and shuffleboard courts sit just a few steps away. Enjoy some kid-free time at the pool by dropping the little ones off at our supervised activities center and game room. Life’s better at the beach, but best at the pool overlooking the beach – with a daiquiri in one hand, and a panini in the other. ​Located on the seventh floor pool deck, RiVive Pool Bar & Grill is Beach Quarters Resort’s all-new seasonal dining spot. From Beach Wings and Crab Cakes to Signature Orange Crushes, and creative frozen cocktails, dining al fresco never sounded so refreshing. ​Seeking some alone time or a way to keep the kids entertained during your stay at Beach Quarters? Look no further than our activities center and game room. 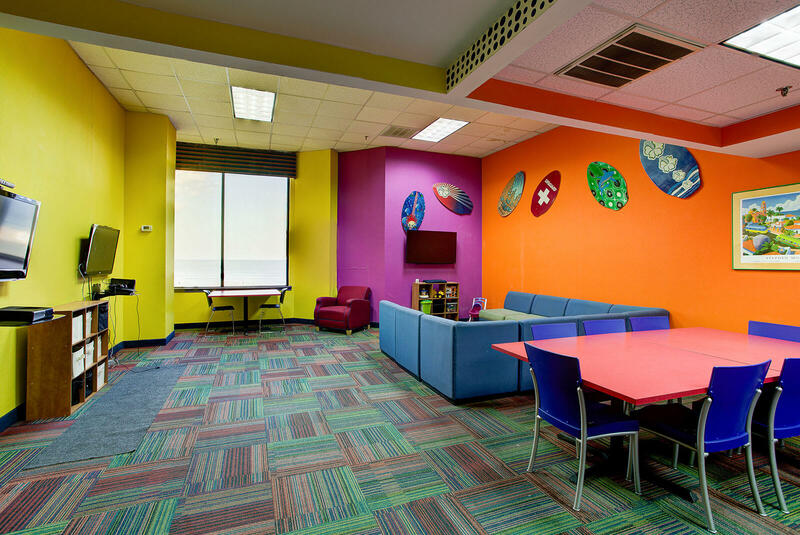 Stocked with everything from classic board games to the latest technology and providing supervision during scheduled events, our activities center is an excellent amenity for kids and parents alike. 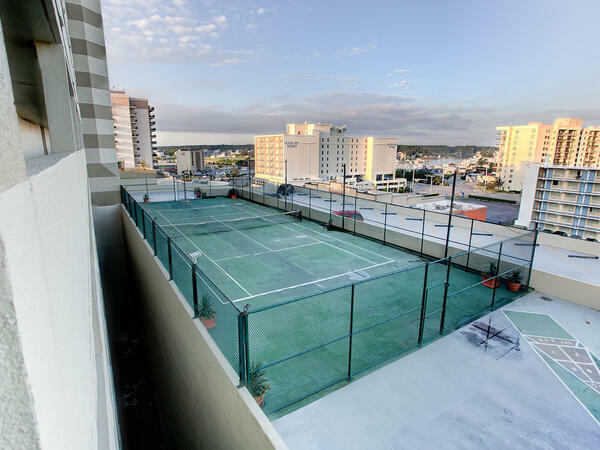 Challenge your friends and family to a tennis match or shuffle board duel. 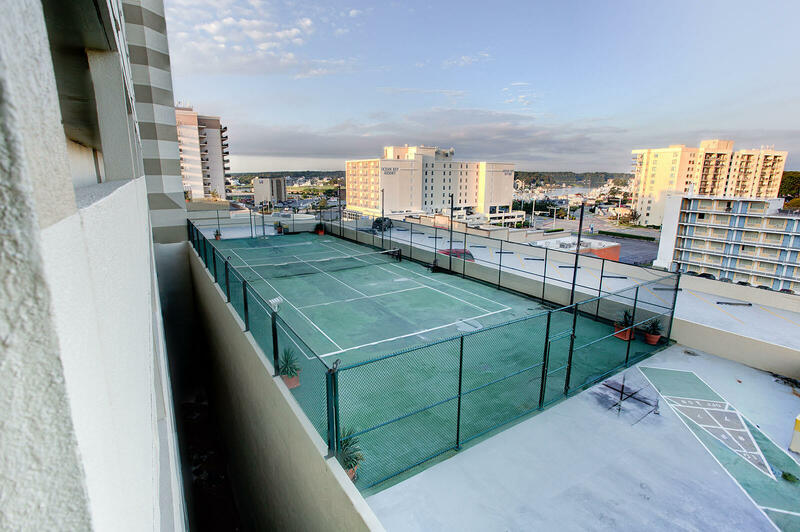 Located on the seventh-floor rooftop, overlooking Atlantic Avenue, you’ll enjoy the cool ocean breeze and some friendly competition. 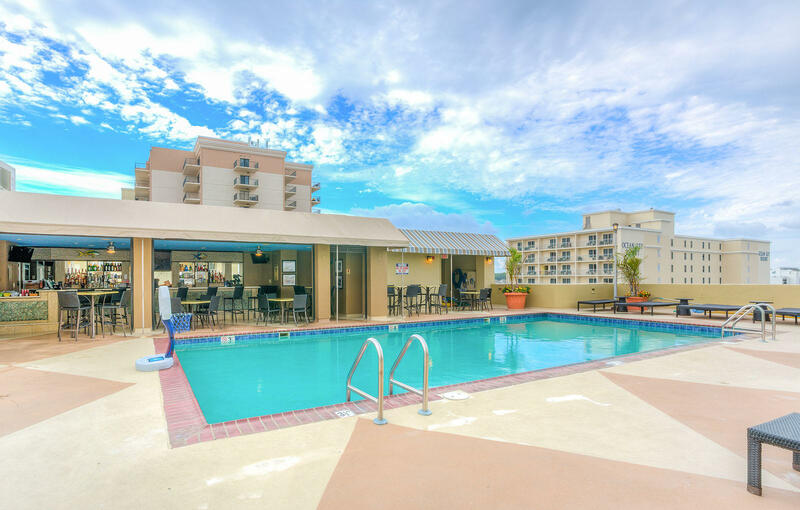 Cool off after your match with a dip in one of our two onsite pools. Beach Quarters’ onsite athletic club goes above and beyond the usual hotel gym to provide the boardwalk’s most comprehensive health and fitness experience. 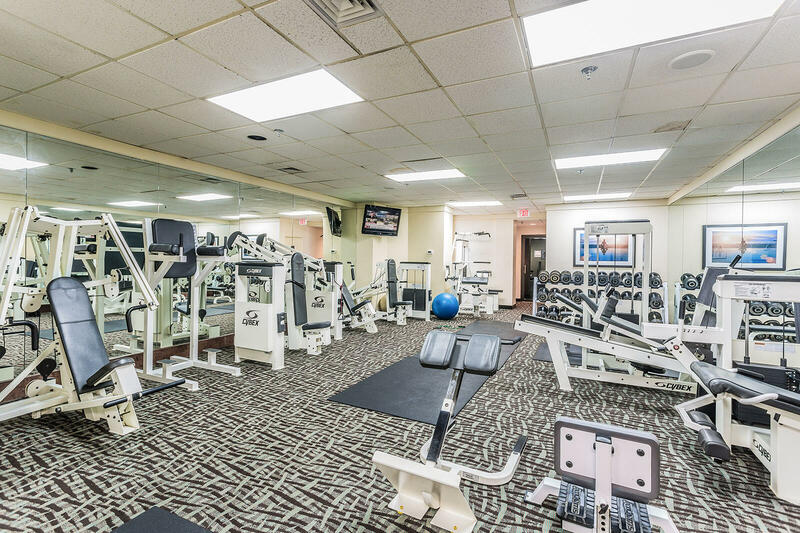 Our Virginia Beach gym occupies an expansive space, including several rooms filled with state-of-the-art equipment and machines. 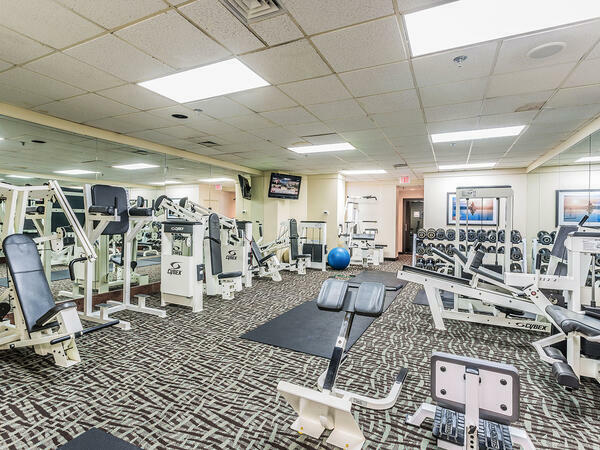 Precor elliptical trainers, Cybex strength training equipment, treadmills and recumbent bikes provide a variety of ways to stay in shape during your stay. Enjoy a relaxing day in Virginia Beach by taking advantage of our sauna, steam room and Jacuzzi. Take your workout outdoors by heading up to our seventh-floor rooftop tennis and shuffleboard courts then unwind with a post-workout swim session at our upscale indoor pool. No matter your exercise routine, we’ve got just what you need to stay on track. Plan your next family reunion, corporate meeting or wedding at Beach Quarters and enjoy 2,200 square feet of flexible space for groups and events, with easy access to onsite computers and Internet access with our business center. In addition to the premier amenities at Beach Quarters, each of our guests receives access to the convenient features at Turtle Cay Resort, located just across Atlantic Avenue, including a private courtyard with a nine-foot waterfall, two hot tubs, deck, gazebo and two heated pools. Turtle Cay also features a sunlit common area for casual gatherings, Wi-Fi in the lobby and a guest services desk and expert concierge available 24 hours.